While Guam is primarily known for its beaches and marine life, wildlife habitation on the island is an interesting mix. Though the island is isolated from any major land mass, Guam has a number of interesting forms of animal life. To maintain a good equilibrium, a few species were also introduced which cohabit the jungles here. Introduced deer and wild pigs inhabit jungle areas, as well as domesticated Carabao, or water buffalo that can be seen lounging in cool streams on sultry days. A major population is the birds, like the American Golden Plover, Gray-tailed Tattlers, and the Mongolian Dotteral. Rare and beautiful birds, such as the rose-crowned fruit dove, kingfishers, and the Guam Rail, are endangered species. Another species’ that are found in abundance here are small, harmless lizards called geckos, blue-tailed skinks, and chameleons which patrol homes and gardens, searching for insects. Occasionally, monitor lizards known locally as hilitai, can be seen darting across roads, especially in the northern part of the island. Coconut crabs, known as ayuyu, prowl the grounds at night. Exotic African land snails leave silvery trails on garden paths and multicolored butterflies flutter from one exotic flower to another. Overall, a very interesting mix for the animal lover to study and explore. 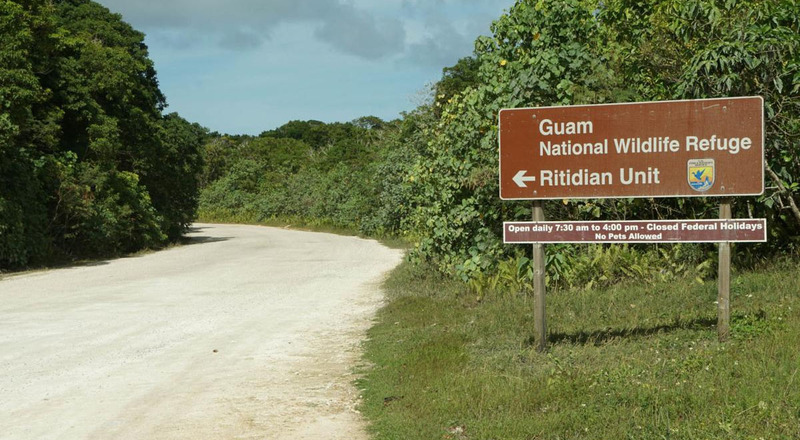 Guam National Wildlife Refuge plays an important part in protecting the endangered species. When you travel to Guam, book your accommodation at Days Inn, Guam and Wyndham Gardens, Guam for a great stay and lovely service.